I had a really good time last year! Already got my tickets!!!! From the spiritual depths of soulful lore to the heights of human challenge and triumph come the tales that legends are made of. Tales that have stood the test of time and held in the primal memory of every creature that walk mother earth. Come with us now and feel the songs that make legend and lore reverberate through you and sway your very seat. Cebia (The tree pronounced "sayba") says sit back and enjoy the family oriented rhythms and Tales from the Silk Cotton Tree. 2011 Storytellers, Hugh Masekela, Arturo Tappin, Victor Provost, Leon Foster Thomas, Bakita Kumalo and more take you on a Journey through South Africa and the West Indies musically! 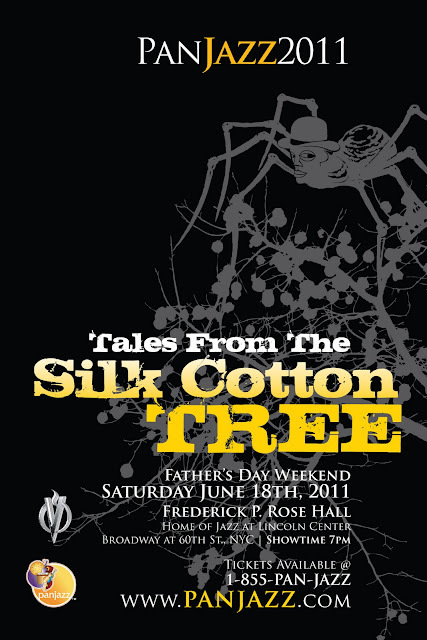 Tales From The Silk Cotton Tree promptly starts at 7pm – 9:15pm and takes place in the Jazz at Lincoln Center Rose Theater on the 5th Floor.